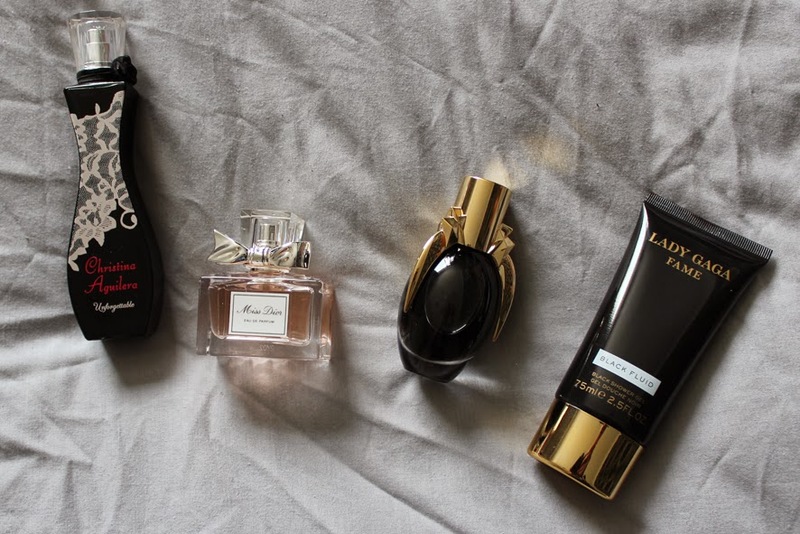 annxkathrin: What I Got For My Birthday! 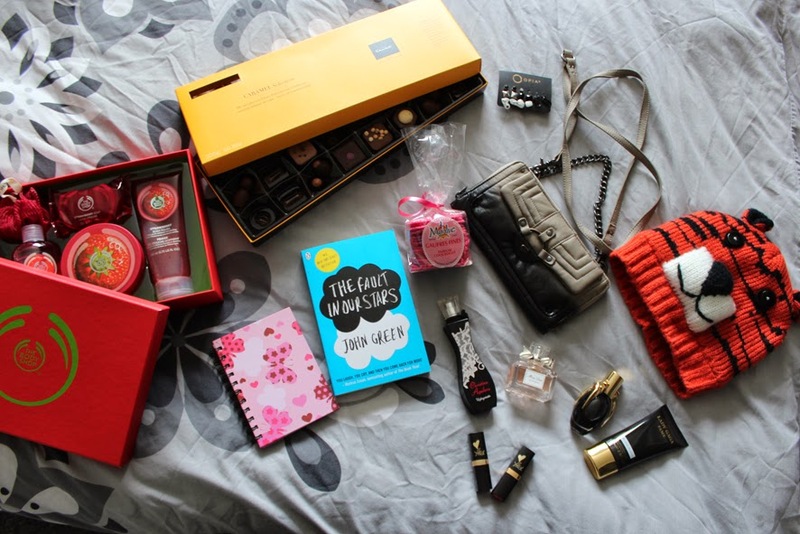 Today I wanted to share the presents that I got for my 20th birthday with you! I really wasn't sure about uploading today's blog post but I thought it would be a nice variation to my other posts. First of I'd like to say that I don't want to show off or brag about what I got! I just really enjoy reading post like "What I Got For My Birthday" or "What I Got For Christmas" myself and that's why I figured I'd share this with you! I hope you'll enjoy having a nosey around! As I mentioned in my February Favourites post I received the latest addition to Christina Aguileras perfume range called "Unforgettable". It was such a lovely surprise to open my birthday parcel (that came way before my actual birthday!) and find this little gem inside - I used to love her other perfumes and my dad remembered that and so he got me this one! Another perfume that has been on my wish list for some time now was Lady Gagas "FAME". So I told my mum that I'd really like to own this one (she asked me for some tips for my birthday present!) and she got me the "Fame Box" which also includes the matching shower gel. Now I can walk around smelling all like Lady Gaga! And the perfume I just recently discovered but wanted to badly since then is "Miss Dior". I usually never have expensive perfumes so I was over the top to receive this. I'll keep it treasured (in a wooden box with a big lock! haha I'm just joking!). My host family treated me with a lovely and deliciously smelling gift box from The Body Shop. It contains a strawberry shower gel, a strawberry soap, a strawberry body polish, a strawberry body butter and a mini crinkle spongey - so I'll be smelling like a delicious strawberry! I got lots of sweets as well! First I need to say some of the yummy austrian chocolates that I got sent didn't make it on the photo because, yes you guessed it, I ate them before I took the photos! Apologies! 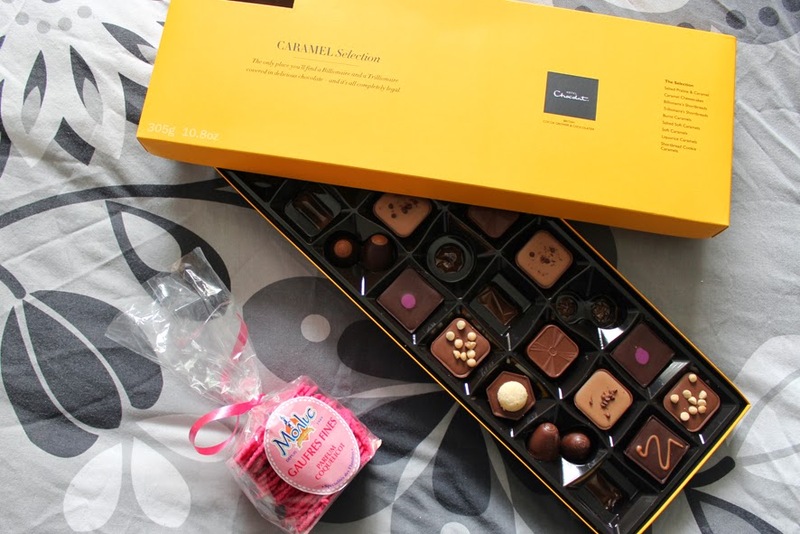 But you can see that I also received the Caramel Selection from Hotel Chocolat which was just delicious! I'm sad it's finished already! A french friend of mine got me some pink Gaufres Fines from when she went to Lille - also very nice! 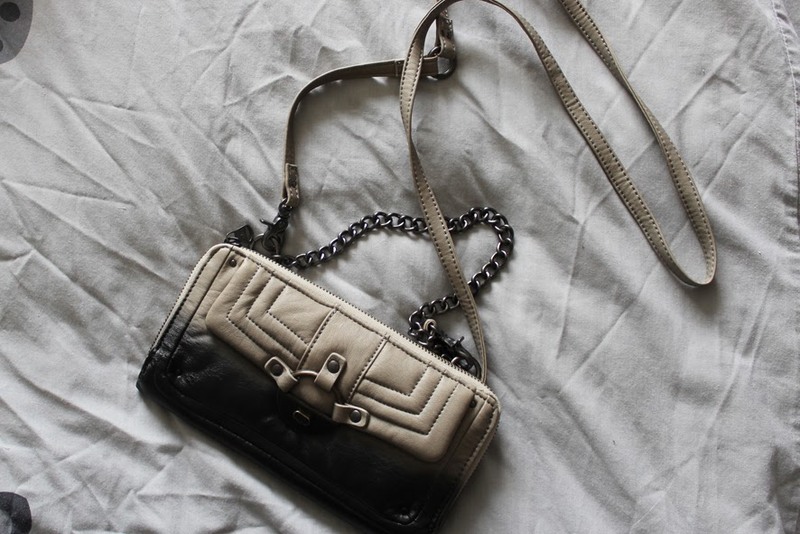 My aunt treated me with this grey-black clutch from Diesel which was a combined birthday and belated christmas present! I especially love the fact that it's HOT PINK inside. This cute pink notebook was a present from my mum as well and I've been using it to write down some blog post ideas! 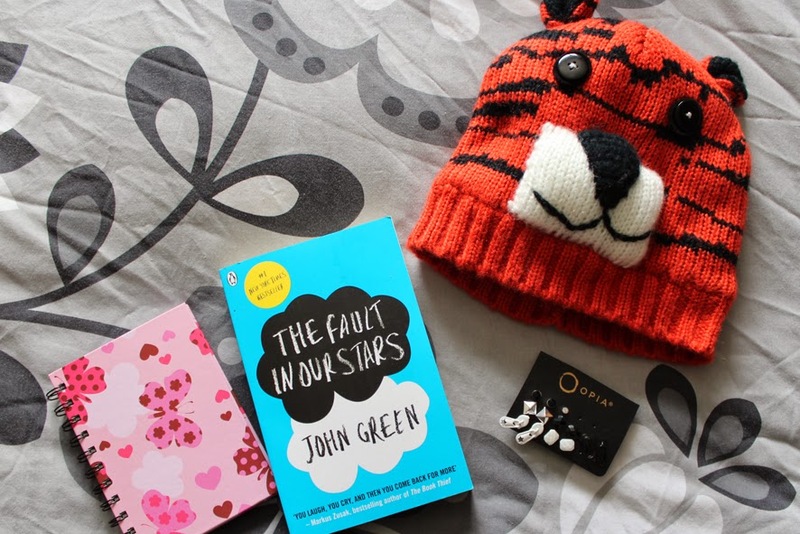 A friend of mine got me one of my favourite books of all times "The Fault In Our Stars" by John Green. Unfortunately I already own a copy of this book but I still was so happy to receive it - I might have to reread it! My dad also sent me a pack of earrings and a necklace (which I forgot to included - oops!) 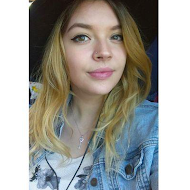 and this cute Tiger Hat - YES I'm a now twenty year-old with a cute tiger hat! He said I could probably wear this as a carnival costume haha. All of those items are from Primark if you were wondering! 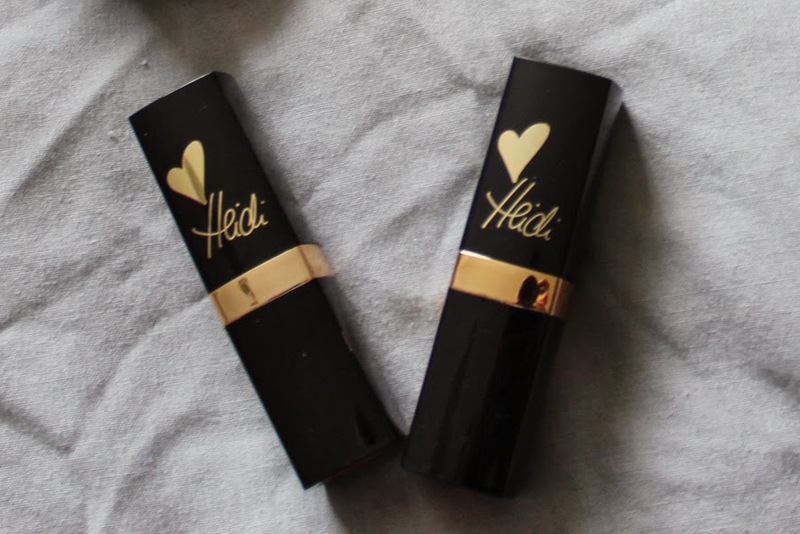 And I've already reviewed the two ASTOR lipsticks from the "Heidi Klum Color Last VIP Collection" that my mum sent me - read the post here! I also received a super cute royal blue dress from a friend that I'll probably wear lots of times in the summer (please hurry up summer!!). And the Lush massage bar "Tender is the Night" is a deliciously smelling gift another one of friends got me. I loved all of my presents and I'm so grateful that I have such a lovely family and circle of friends that gift me with such well thought-through presents! I hope you enjoyed this little nosey into my presents! Please tell me when your birthday is coming up and what you'd like to receive in the comments below! Also would you like to see any in-depth reviews of some of the products? So jeal of the Miss Dior perfume!! Have been wanting to get it for so long! Happy belated birthday! Thanks so much lovely! Oh yes it such a gorgeous perfume isn't it? So happy I got it! I love these kind of posts! Hope you had a great birthday! The body shop set looks like it smells divine. I have the vineyard peach body butter and it's been one of the best purchases I've ever made.